Fall 2018 may be jam-packed with new games, but Tetris Effect is aiming to hit everyone hard. Its vague release window has been narrowed down, as publisher Enhance Games announced on its Twitter page that the puzzle game will be released on November 9, 2018. Expect gamers everywhere to put long hours into this title. Tetris Effect is a complete reinvention of the iconic puzzle game. It takes the classic Tetris gameplay and gives it a surrealist look. It also features a new “Zone” mechanic, which allows you to freeze time, that adds a strategy element not present in prior Tetris games. Despite being the next generation of Tetris, seasoned veterans may find the core gameplay they love in Tetris Effect. One Tetris pro managed to absolutely dominate Tetris Effect during a recent playthrough. Tetris Effect takes its name from the psychological phenomenon in which people still see images of the game well after playing. 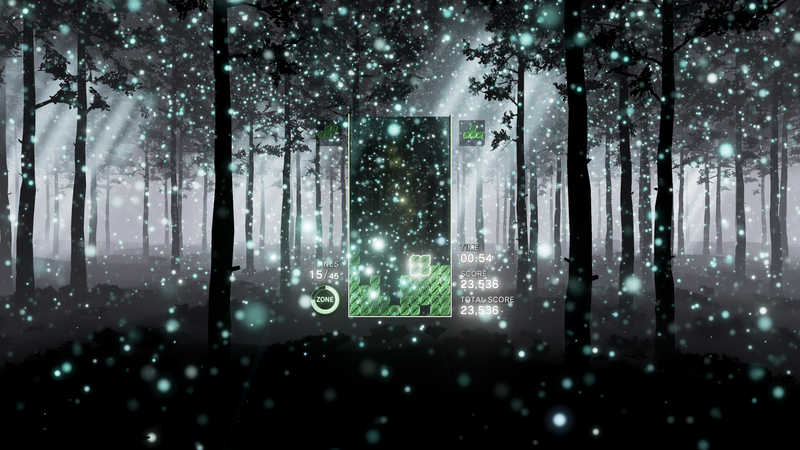 It also shares many aesthetic similarities with Lumines Remastered and Rez Infinite, two other puzzle games from Resonair.